Prokofy Neva has released his predictions for 2008 which make for very interesting reading, even if his predictions for 2007 were actually not close to the mark, but made for interesting reading nevertheless. Sadly, Typepad (the software his blog runs under) thinks that my comments are “spamming” (well, who knows…) so here follow my answers. Make sure you read his excellent article first, though. 1. Well, 2008 would have been “too early” anyway. They took 18 months to release the *viewer* as open source, since they made the announcement. Even if the server code were as complex (which it isn’t), and even taking into account that LL has grown a lot since 2006, “late 2008” would have been the best-case scenario for an open source release of the server code, mid-2009 a more reasonable one. 2. I totally agree with that prediction. I’d be very surprised if it wouldn’t come true. 3. While I agree that they won’t get a significant number of new users (I’m on my third day of downloads to finally enter Kaneva Beta 2.0… and for what? A world that has a maximum concurrency of 750 users?? ), I’m not sure if it’s about mobile phones… that’s a meme that has been repeated ad nauseam as mobile operators start getting 100% coverage of the population of the western world (110% in my own country!) and they have no clue how to get more customers with enough money to spend on more calls, which are dropping fast in cost… so this is a really massive campaign for “the world in your mobile” tha has been going on for quite a while. I’m still skeptic (then again, every day I hate phones more and more), the major reason being that a mobile phone is not really a good platform to develop anything beyond an interface to voice communication, no matter how advanced a phone’s OS becomes (see Google’s or Apple’s) or how long the battery lasts. Ultimately, it’s a pain to navigate on a phone, and that will *not* change (since we humans are not likely to change physically…). 4. I look forward to that. I hope you’re right on that prediction! 5. Highly unlikely. Definitely not in 2008. 6. Totally correct. People get scared because content creator X announced with a lot of drama that she would leave SL. But every day, without failing, 15,000 new users join. Sometimes 25,000. Sometimes more. That will not stop. LL will never go public. There is simply no interest in doing so for the VC funders. Being “taken over” by any megacorp will not bring them neither value, nor money. SO I totally agree with you on that, too. 7., 8., and 9. are very likely. I liked your conclusion very much: as the media starts to ignore all of this, litigation against SL won’t make the news, like litigation against Microsoft (which happens on a daily base) doesn’t really move the world any more — except for very excepcional cases. So my guess is that all this growth will now be mostly silent and ignored by the world-at-large. Sure, if, say, Apple buys a thousand sims and announced a mega-campaign to give all .Mac account owners a plot of 512 m2, that would still make the news… but this will be exceptions. We’ll just be watching the top of the iceberg, but the real growth will all be below the water line. 11. 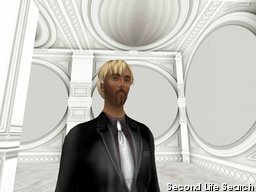 There might be some drama about China (or some Chinese) in 2008, but I find it more likely that HiPiHi and Linden Lab’s Second Life start converging. LL would get a local partner with the Chinese government’s supervision, and fully legalised under Chinese law; HiPiHi would provide all local support on a local grid, but avatars could roam freely among the interconnected grid — provided, of course, that they respect China’s content restrictions. It could happen. If I were Philip, I’d be favouring that solution. HiPiHi’s owners seem to be agreeable to such a deal, and I’m pretty sure that teh Chinese authorities would prefer that solution, too. 12. Not in 2008. And in 2010 it might be too late to develop anything from scratch 🙂 This is the old “Microsoft Network” case again: in 1995, due to the staggering growth of the Internet and the Web, Microsoft thought they could “create their own internal version of the Web”. They tried it for six months. They gave up and fully embraced the Internet’s own Web, and rebranded themselves as “the Internet company”. Of course, to make *sure* that this scenario doesn’t happen, all LL has to do is to license/give away the server code, or to improve *dramatically* the amount of grid interfacing through APIs… to make it quite clear for corporations that it’s far better to work *with* SL instead of developing their own solution. At this precise moment, the grid instability and the painfully hard SL Web integration makes everybody have second thoughts about betting on SL. LL will have to change this. The good news: they’re aware of it, and will take 6-12 months to deliver a solution. We’ll see if it’s not too much of a waiting time. 14. Totally agree. You won’t need to be a “SL fanboy/girl” to write about SL any more. 17. I agree. We’ll see more PR companies and less marketing agencies using SL. PR knows the importance of socialisation, marketing and advertising mostly worries about image. So, yes, I agree with you on that. 18. Possibly, I have no idea :)) The few that I know are unconcerned that JohnDoe Avatar copies their art and sells it for L$100… but these are possibly exceptions. 19. Hmm. That’s worth a whole new blog entry, Prokofy. Tell us more about how TV is changing, audience is changing, and that these days a “TV show” doesn’t have an existence only on the airwaves but on several different technologies (most of them Internet-related) as well… there’s a lot more to be said about TV networks and their role in the 21st century. First, Raph Koster can be the leading game guru and the highest ranking netcelebrity on the gaming scene, but, like Edward Castronova also has found out, excelling in your field doesn’t mean that you are going to be a successful business owner as well. There is no way that Metaplace has any long-term possibility to survive as a profitable company. Just look at what Raph proposes to charge to customers! Either he’s going dot-com on it (ie. selling the idea and moving on, and letting someone else figure out how to make money out of it), or he’s just going to drop the idea at some point and admit that there is no market for what he has developed. People do NOT want 3D worlds with 3 or 4 people on their webpages. This was attempted since, well, the days of VRML (1996…?). It never worked. Sure, we have fancier graphics these days. But there is not a single argument of Raph’s that convinces any business manager that his idea might be worth any money. People simply take his word for it because, well, he *is* Raph Koster, of legendary programming abilities, wizard of the gaming world… and that’s why the project is up and running (in 2D) at all. UPDATE: Tateru Nino pointed out that actually only one of Prokofy’s predictions for 2007 — a “major Linden would leave SL” had come true. Linden Lab Becomes A Content Provider Again? Next post Electric Sheep Company To Change Core Business?